Jordan Brand’s World Basketball Festival 2012 Collection has been the talk of the town recently and the talks will soon grow further with the release of another impressive kick from this collection. Dubbed as the Air Jordan 1 Retro High RTTG “DC”, this Obsidian/Metallic Gold-White colorway of the WBF 2012 edition of the retro shoe will be hitting shelves this Saturday, July 14, along with the “DC” edition of the Jordan Super.Fly. 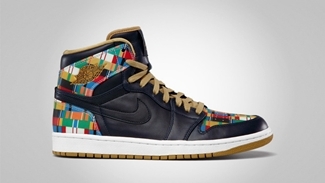 This impressive kick from Jordan Brand features Obsidian leather on the upper part enhanced with multi-color patchwork on the heel and toe of the shoe. 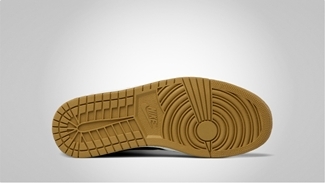 And as expected, the shoe also has gold touches on the lining, outsole, laces, and branding of the sneaker. This one will be available on a limited-basis so make sure to grab one immediately. Jordan Sky High Retro to Soar Once Again!